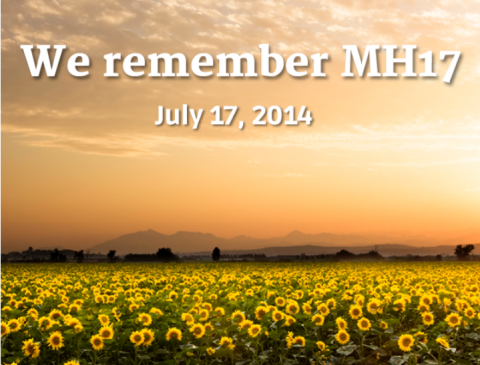 On 17 July 2014, 298 people aboard Malaysia Airlines Flight 17 were killed when their plane was shot down over Eastern Ukraine en route from Amsterdam to Kuala Lumpur. Among those killed were six delegates traveling to the 20th International AIDS Conference (AIDS 2014) in Melbourne, Australia. Four years later, as the HIV community prepares to gather for the 22nd International AIDS Conference (AIDS 2018) in Amsterdam, we remember our colleagues, Lucie van Mens, Martine de Schutter, Glenn Thomas, Jacqueline van Tongeren, Pim de Kuijer and Joep Lange (member of KNCV’s Board of Trustees, inspiring mentor and friend, and of invaluable importance to the fight against TB and HIV) and those they were traveling with.